So, the South Coast of the Island is Having A Sewage Problem. 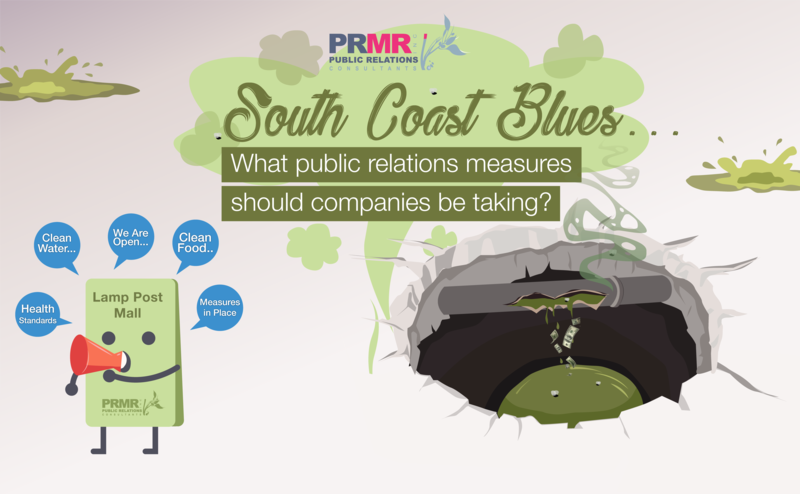 What public relations measures should companies be taking? For more than a year now the South Coast of the island has had a major issue relating to the sewage system, which is posing problems for businesses in that area as a result of foul odours, and rumours relating to food and water safety. This issue has escalated to crisis proportion. Despite this, I am yet to evidence a strategic communications plan from businesses in the area describing the environmental state of their business and what they are doing to protect the interest of stakeholders. This can be a bit of burying heads in the sand syndrome and a lot of not having a public relations strategy for the company. Unfortunately, a vast majority of companies in lesser developed countries see public relations as an expense that they cannot afford, and even more disconcerting, that public relations is just having a press release in the newspaper. It's amazing owners and managers take the reputation of a company for granted. A government, for example, cannot speak on behalf a company. The government will do its part to communicate its position and correct the situation but in the meanwhile, as the event is taking place or occurs the company must take the proverbial bull by the horn and manage its reputation through communications. Here are a few initiatives that a company with a strategic public relations plan might take at this stage. If we use a hotel as our case in this instance, the priority stakeholders that we will address our employees, guests and potential guests (of course there is a long list of other key stakeholders that must be included in your planning). this stage, employees should be asked for their suggestions of what else the hotel could be doing. These meetings should be done on a quarterly basis. Employees are your best advocates. If they feel good about the place they work they will promote the company as a good one wherever they go. measures that you have put in place to protect their wellness will give them confidence in your service. Potential Guests - A message on your website regarding the situation at present. It's best to give people all the information and let them make an informed decision. The problem is temporary and beyond your control, and you should state this. Remember, foreign governments are putting out advisories anyway and there are also Trip Advisor stories. Guests who intend to stay with you will not be dissuaded in fact being open and honest is a sure way to engender their trust and future loyalty. There are a number of other critical public relations strategies that companies should employ. However, communicating with stakeholders is the most vital and essential step in running a successful, sustainable business in 2018.